First Listen: Kishi Bashi, 'Lighght' In Lighght, technique and experimentation collide in high-spirited, even disorienting ways. It's the product of a mind that always seems both hard at work and immersed in play. 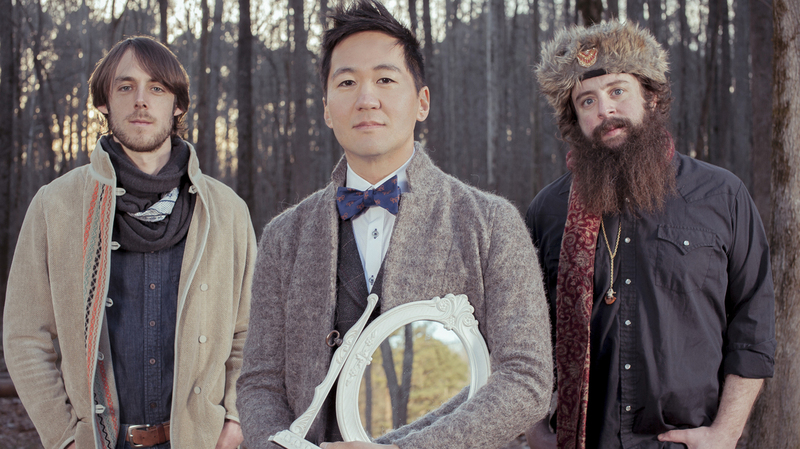 Kishi Bashi's new album, Lighght, comes out May 13. K. Ishibashi opens his second solo album, Lighght, by taking a tone-setting 48-second violin solo. Titled "Début - Impromptu," it skids and squeaks with accelerating abandon until the notes distort and smash together chaotically; by the end, the instrument has become largely indistinguishable from the machines he so often uses to loop and manipulate it. It's equal parts introduction and mission statement for Lighght, in which technique and experimentation collide in high-spirited, even disorienting ways. That song morphs quickly into Lighght's first single, whose title sounds like a mission statement in and of itself — "Philosophize In It! Chemicalize With It!" — at which point Ishibashi gets to the meat of the frantically busy sound for which he's become known. A former utility player in Of Montreal, he's fully established himself as a formidable solo artist; his loop-intensive live shows are the product of a mind that always seems both hard at work and immersed in play. With its title taken from a controversial one-word poem by Aram Saroyan, Lighght is Ishibashi's second album under the name Kishi Bashi; the first, 2012's Kickstarter-funded 151a, spawned the indelible and possibly career-defining left-field hit "Bright Whites." But rather than narrow his approach in the pursuit of more crowd-pleasers like it, he spends Lighght heading in strange and unexpected new directions, from the giddily eccentric electro-pop of "The Ballad of Mr. Steak" to the psychedelic seven-minute album closer "In Fantasia." It's exactly the right approach for a wonderfully inventive young talent whose every success has been sparked by his innate need to surprise.